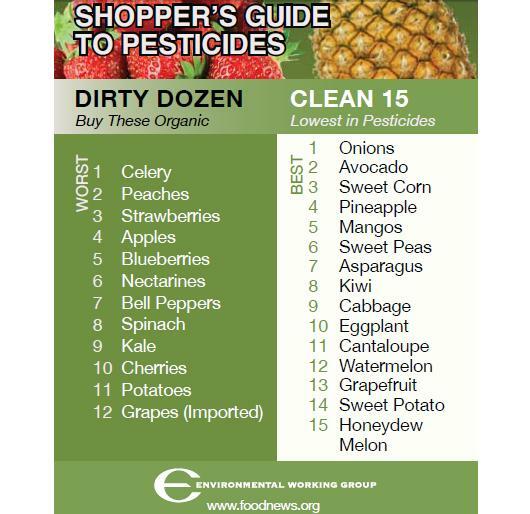 You know the Environmental Working Group‘s super-helpful list of the most-pesticide-laden fruits and veggies? Well, there’s a Big Ag lobby group called the Alliance for Food and Farming that’s trying to debunk it. And the USDA just gave the lobbyists $180,000 to aid their smear campaign, The Atlantic reports. Do all these pesticides mean I shouldn’t eat fruits and vegetables? No, eat your fruits and vegetables! The health benefits of a diet rich in fruits and vegetables outweigh the risks of pesticide exposure. Use EWG’s Shopper’s Guide to reduce your exposures as much as possible, but eating conventionally grown produce is far better than not eating fruits and vegetables at all. The bottom line: The more you know about your food, the better. Period.